Green-edged acrylic lets visitors easily view your reading materials. 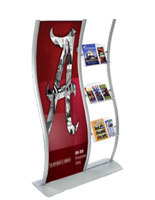 Wave-shaped fixture will make your literature stand out. 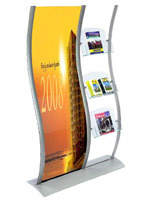 Leaflet stands combine an acrylic literature display with a large format graphic frame, creating a highly effective promotional fixture. These retail fixtures, leaflet stands are constructed from aluminum for a durable yet visually appealing structure. The aluminum is also strong enough to protect against rust when used indoors. 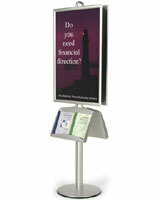 Leaflet stands, also known as brochure holders, have (3) green-edged acrylic pockets to showcase pamphlets and other reading materials. 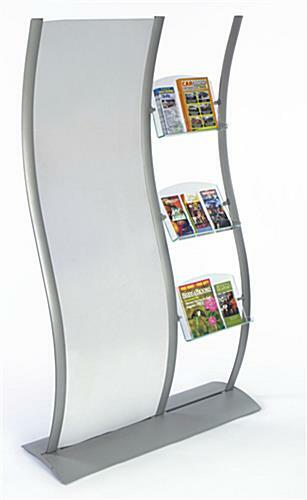 The magazine dispensers are also adjustable leaflet stands! 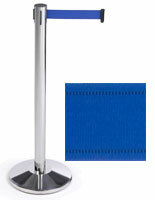 We provide leaflet stands with adjustable brackets, letting you determine the height and angle of each acrylic pocket! 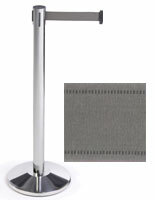 In addition to moveable brackets, we also provide leaflet stands with (2) clear, plastic lenses to cover and protect your posters. 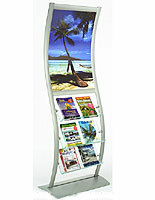 These image frames, leaflet stands can also be used as double-sided fixtures! Alternate the direction each pocket faces to allow visitors to view publications from either side of the display holder. 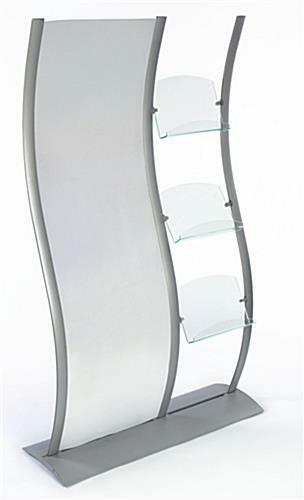 Leaflet stands are therefore great fixtures for retail environments or other busy venues such as galleries or conference centers. 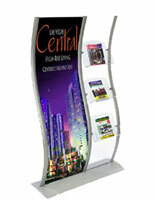 These leaflet stands, such as our other wave displays, will help increase the success of your promotional presentation. 16.0" x 12.3" x 2.5"